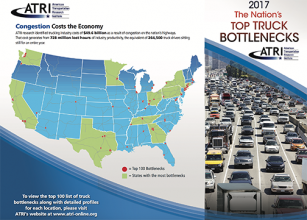 The American Transportation Research Institute (ATRI) released on January 25 its annual list highlighting the most congested bottlenecks for trucks in America. 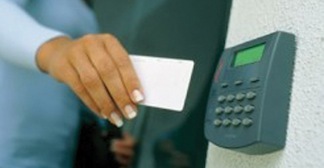 Congestion chokepoints hurt the economy and the environment, so the ATRI uses GPS data collected each year to help identify times and locations that truckers will want to avoid. 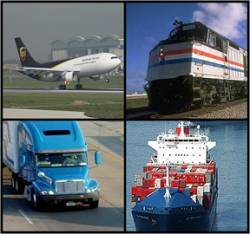 "Trucks move 70% of the nation’s goods, so knowing where there are kinks and slowdowns in the system is important for motor carriers and our professional drivers, making this analysis a key tool for identifying where and when to route our trucks to avoid congestion," said Prime Inc. President and CEO Robert Low. The 2017 Top Truck Bottleneck List assesses the level of truck-oriented congestion at 250 locations on the national highway system. The analysis, based on truck GPS data from 600,000+ heavy duty trucks, uses several customized software applications and analysis methods, along with terabytes of data from trucking operations to produce a congestion impact ranking for each location. The data is associated with the FHWA-sponsored Freight Performance Measures initiative. The locations detailed in this latest ATRI list represent the top 100 congested locations. "With President Trump expected to press for significant long-term infrastructure spending, this ATRI analysis should be a key guide for deciding what projects are worthy of funding," said American Trucking Associations President Chris Spear. "Ensuring the safe and efficient movement of goods should be a national priority and this report draws attention to the places where our highway network needs improvement in order to meet that goal."